This bed is a beautiful focal point in your bedroom. 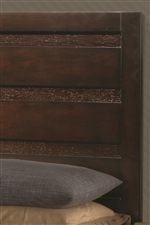 The transitionally styled headboard emphasizes geometric balance with its thick horizontal lines. 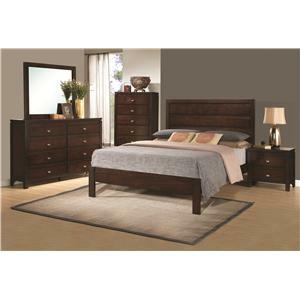 It's a stylish piece that will complement a variety of room styles and keep you comfortable, day in and day out. The Cameron King Bed with Panel Headboard and Footboard by Coaster at Value City Furniture in the New Jersey, NJ, Staten Island, Hoboken area. Product availability may vary. Contact us for the most current availability on this product. 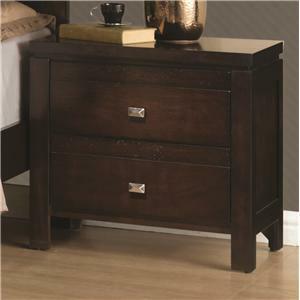 203491KEB1 King Bed Box 1 1 0" 0" 0"
203491KEB2 King Bed Box 2 1 0" 0" 0"
The stylish design and rich brown finish of the Cameron collection will serve as the focal point of your bedroom. Transitionally styled elements give this collection a fun and fresh appearance. 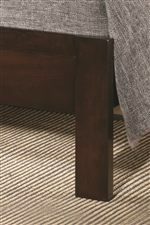 Strong, horizontal lines are featured throughout this collection, most prominently on the headboard. Its geometric shape emphasizes balance and really rounds out the bedroom. 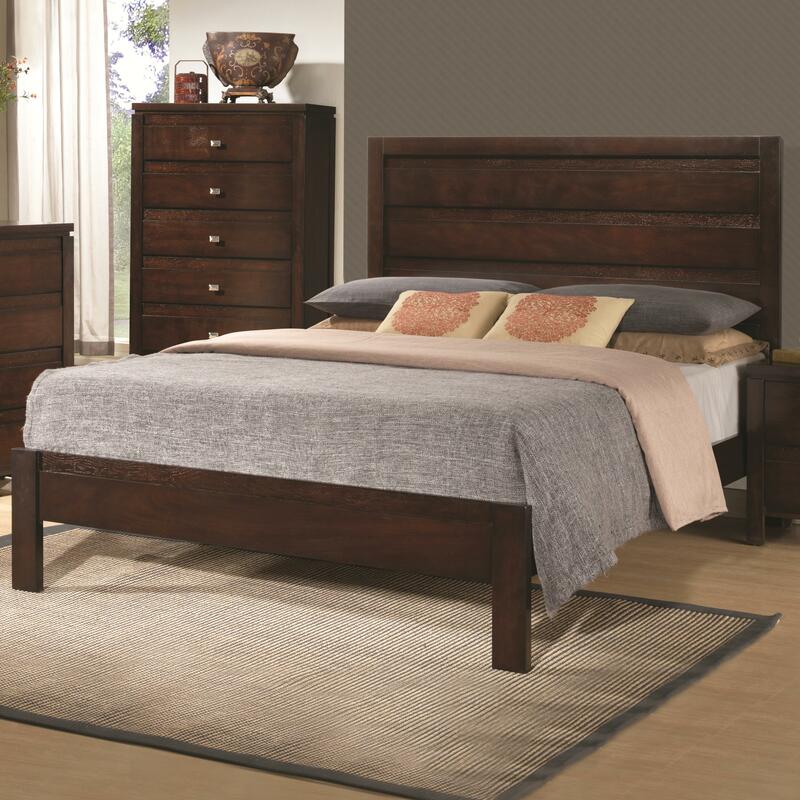 Made from select hardwoods and okume veneers along with dovetail drawer construction, you can be sure the Cameron bedroom collection can give you that trendy transitional appearance you've been looking for. 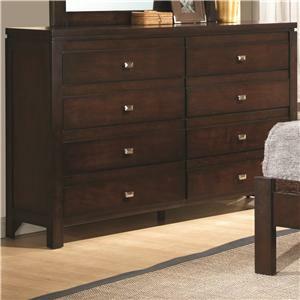 The Cameron collection is a great option if you are looking for Transitional furniture in the New Jersey, NJ, Staten Island, Hoboken area. 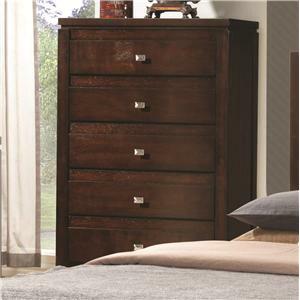 Browse other items in the Cameron collection from Value City Furniture in the New Jersey, NJ, Staten Island, Hoboken area.